Over the past year, the University of California’s Systemwide Library and Scholarly Information Advisory Committee (SLASIAC), in partnership with our university libraries and the systemwide academic senate’s Committee on Library and Scholarly Communication (UCOLASC), has been considering the twin challenges of journal affordability and the moral imperative of achieving a truly open scholarly communication system. Making the research produced at the University of California open to the world has long been an important goal at UC, as evidenced by the strong Open Access policies enacted at the campus and systemwide level, our many initiatives to create open access publishing options for UC authors (including CDL’s eScholarship publishing service and our early open access pilots with third party publishers), and most recently, a Declaration of Rights and Principles to Transform Scholarly Communication promulgated by UCOLASC. We believe it is time to take a further step along this road. Because the lion’s share of both the University’s research output and of our library budgets is bound up with the services of journal publishers, advancing these goals is inextricably entwined with the University’s ongoing relationships with publishers and must be addressed in the context of the agreements we sign with them. Our goal, simply put, is to responsibly transition funding for journal subscriptions toward funding for open dissemination. As we approach major journal negotiations for 2019, the UC system will be guided by the principles and goals outlined below in negotiating agreements with publishers. In issuing this Call to Action, SLASIAC, UCOLASC, and the UC Council of University Librarians seek to engage the entire UC academic community, and indeed all stakeholders in the scholarly communication enterprise, in this journey of transformation. The desire to transform research production and dissemination in order to make research outputs openly accessible—leveraging the power of digital networks, accelerating beneficial research outcomes, and making the fruits of academic research more trustworthy and more widely available to all who may benefit for the good of society. We believe the time has come to address these issues head-on through a combined strategy that places the need to reduce the University’s expenditures for academic journal subscriptions in the service of the larger goal of transforming journal publishing to open access. Through our renewal negotiations with publishers, we will pursue this goal along two complementary paths: by reducing our subscription expenditures, and investing in open access support. Such an undertaking will be neither easy nor without short-term pain for the University, its faculty and students. However, even if we were able to maintain all of our current subscriptions, the long-term prospects for beneficial change outweigh the merits of attempting to cling to an untenable and undesirable status quo. Context and Rationale: Why Now? The escalating costs of academic journals are a well known problem in higher education, far outpacing the growth in library budgets and squeezing out libraries’ ability to invest in other content and services needed to support teaching and research. As public investment in higher education continues to decline, many of our campus libraries as well as the California Digital Library (CDL) face persistent budget shortfalls that imperil their ability to continue these licenses. These challenges are reaching a tipping point at UC and elsewhere, leading many of our peer institutions both nationally and globally to cancel large journal packages that contain vast amounts of little-used content in favor of selectively licensing only the materials most needed by their faculty and students. Cancellation of journal subscriptions is also being fueled by the growth of open access. Today, nearly 50% of published research is openly available in some form, 15% of it as immediate, or “gold,” open access (OA); yet subscription costs have neither declined nor stabilized in response. In fact, in addition to annual above-inflation increases, publishers are now extracting even more money from the academy through the growing phenomenon of open access article charges levied on top of subscription payments in so-called ‘hybrid’ journals. These forces are both the product and the markers of irreversible change. Technology has brought with it new affordances and opportunities that are changing the conduct and dissemination of research. Public funding for higher education is unlikely to be restored to previous levels. And our peer institutions have demonstrated that it is possible to break away from existing licensing practices and still serve the academic mission. There is no going back from any of these changes; we can only go forward. 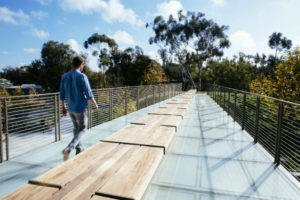 For more than a decade, the University of California has institutionalized its commitment to open research dissemination with multiple statements, policies, and initiatives, in furtherance of its distinctive mission to serve society and translate research into knowledge and innovations that positively impact California, the nation, and the world. Among the many actions designed to advance scholarly communication have been the adoption of faculty senate and presidential policies mandating the open deposit of research articles, and the development of an increasingly robust open access publishing capability on the California Digital Library’s eScholarship platform. More recently, six UC campuses and their faculty-led Academic Senates have declared their commitment to making open access the default mode of research dissemination by supporting the OA2020 initiative, and other UC campuses are actively considering this support. The faculty-led University Committee on Library and Scholarly Communication (UCOLASC) has also issued a Declaration of Rights and Principles to Transform Scholarly Communication for negotiating journal licenses with publishers. And the UC Libraries have released Pathways to OA as a unified conceptual and strategic framework to guide future actions. All of these efforts provide the context in which we will pursue open access to the journal literature and a broader transformation in scholarly communication. As we approach a new round of journal negotiations, the time is ripe for UC to harness its agreements with publishers as instruments of large scale transformation, guided by the open access goals and imperatives endorsed by UC faculty and in concert with peer institutions in the US and elsewhere. By embracing the University’s commitment to open access transformation as a core principle undergirding our licensing efforts, we will bring our expenditure and open access goals into alignment. As a leading research institution that produces 8% of all US research output, UC is uniquely positioned to both contribute to and accelerate such transformation, locally, nationally, and globally. Indeed, we believe that as a public university sustained by taxpayer and extramural funding, we have a signal obligation to do so; and we invite our colleagues in the North American research community to embark with us on this journey. This Call to Action outlines some of the priorities and actions that will guide UC in addressing the issues of sustainability and open access transformation in our negotiations with journal publishers from 2018 forward, and articulates the ways in which we will engage with our stakeholder communities to advance these efforts. We will prioritize making immediate open access publishing available to UC authors as part of our negotiated agreements. We will prioritize agreements that lower the cost of research access and dissemination, with sustainable, cost-based fees for OA publication. Payments for OA publication should reduce the cost of subscriptions at UC and elsewhere. We will prioritize agreements with publishers who are transparent about the amount of APC-funded content within their portfolios, and who share that information with customers as well as the public. We will prioritize agreements that enable UC to achieve expenditure reductions in our licenses when necessary, without financial penalty. We will prioritize agreements that make any remaining subscription content available under terms that fully reflect academic values and norms, including the broadest possible use rights. We will prioritize agreements that allow UC to share information about the open access provisions with all interested stakeholders, and we will not agree to non-disclosure requirements in our licenses. We will prioritize working proactively with publishers who help us achieve a full transition to open access in accordance with the principles and pathways articulated by our faculty and our libraries. We will evaluate all publishers on both cost-benefit and values-based grounds in our cancellation and retention decisions, including conformance to the UCOLASC Declaration of Rights and Principles to Transform Scholarly Communication, and sustainable, transparent, cost-based OA fees. We will adjust our investments to follow and support transformative initiatives mounted by academic authors, editorial boards, and societies when they seek to establish a journal on fair open access principles, including transitioning support from prior legacy journals when necessary. We will actively seek to partner with other national and global research institutions in transforming research output to OA. The UC Council of University Librarians (CoUL) will provide overall leadership and coordination for these transformative efforts, working in close partnership with UC faculty and administrative leaders and with the California Digital Library on strategy development and execution. The UC Libraries Pathways to Open Access articulates a set of strategies to guide the libraries in a broad range of transformative endeavors. CoUL endorses the UCOLASC Declaration of Rights and Principles to Transform Scholarly Communication as principles that can be taken into account when the University of California engages in its upcoming and future journal license negotiations with commercial publishers. UC faculty are the central stakeholders in the UC research enterprise and the principal contributors to the scholarly communication ecosystem; transformation must support their fundamental interests, and without faculty support transformation cannot succeed. As authors, arbiters, and consumers of scholarly content, faculty can exert significant leverage to transform the publishing life cycle at the stages when their efforts are needed most: during the creation and submission of faculty work, and during the editorial and peer-review processes, when faculty expertise is required to validate scholarly content and ensure the quality of the final output. UC faculty have demonstrated their willingness to deploy such levers in the past, including starting their own open access journals and calling for publisher boycotts in 2003 and 2010 to assert academic values. The UCOLASC Declaration of Rights and Principles to Transform Scholarly Communication is an unequivocal action by faculty to signal their collective commitment to advance the public mission of UC; to accelerate our institution’s ongoing efforts to make the products of UC research and scholarship as freely and widely available as possible through open access; and to leverage faculty backing to ensure that UC spends taxpayer money in the most ethically, morally, and socially-responsible way when entering into agreements with publishers. The Libraries will continue to work proactively with UCOLASC and other Academic Senate committees to ensure that these faculty goals are taken into account in publisher agreements and outcomes. In partnership with the Academic Senate, the library will also help facilitate the ongoing engagement of campus faculty to ensure proper communication and alignment. University academic officers are also key stakeholders in the sustainability and mission-alignment of academic publishing. UC negotiators will regularly report to and seek advice from the University Provost’s Systemwide Library and Scholarly Information Advisory Committee (SLASIAC) as discussions with publishers go forward and will seek active engagement from senior academic officers when appropriate to advance collective efforts. The UC Office of Scholarly Communication (OSC), which brings together all of the above stakeholders under the aegis of SLASIAC to develop and promote scholarly communication transformation at UC, will continue to be a key partner, vetting body, and dissemination point as we shape our strategies going forward. Other libraries, research institutions, and consortia must be key strategic partners in transforming the scholarly literature. We will work proactively with peer institutions across the globe, through the OA2020 initiative and other means, to foster a sense of shared mission, cultivate and share best practices, and to enter into constructive collaborations that can advance our shared goals. Research funders are taking an increasingly active role in the dissemination of the research they sponsor, including OA policy mandates and infrastructure as well as direct funding of OA publication. Our analysis suggests that sponsored research funding may be a necessary component of OA sustainability for publication-intensive institutions such as UC. We will seek opportunities to engage with sponsored research funders as appropriate in developing our approach in all of these areas. Scholarly publishers and academic societies are critical players whom we seek to engage not as antagonists, but as vital partners in transforming research publishing. We look forward to engaging positively and constructively with all publishers in achieving a more sustainable publishing ecosystem, by identifying and investing in pilots and transformational approaches. At the same time, we will continue to monitor the landscape for promising new publishing initiatives and approaches in which to invest.